Wat Pathum Khongkha Ratchaworawihan is a royal monastery in Bangkok. It seems like an unremarkable temple, but upon a little research you discover it once served a rather grisly purpose. Not only a place of religion, but it was also where some members of the Royal Family were executed in the early years of the Bangkok kingdom. On its execution stone (the gray altar-like photo), several members from the reigns of Kings Rama I and III were disposed of...Previously known as Wat Sampeng, this monastery was founded long before Bangkok was the capital -- pre-1767. It was renovated for King Rama I by a rich Thai. The main Buddhist image in the temple is in the subduing Mara (a sort of devil) posture. The doors and windows are exquisitely decorated with lacquered ornamentation in gold leaf patterns. The temple has recently been restored. 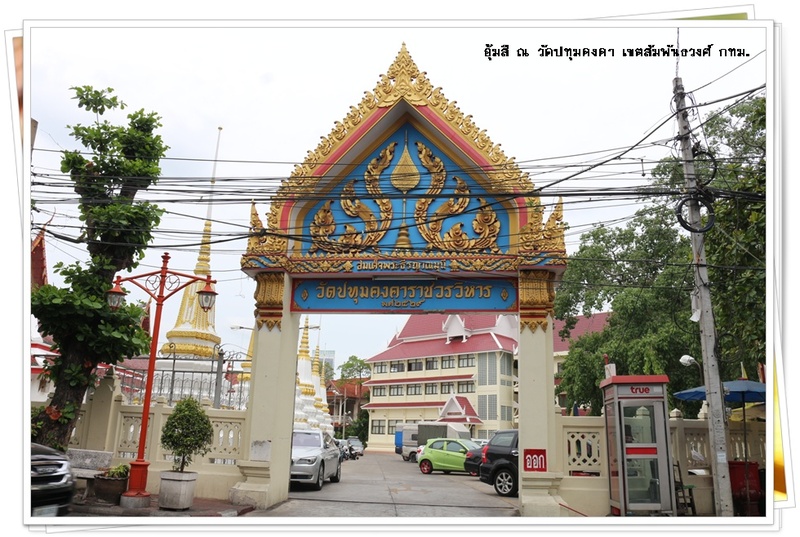 ..Behind the temple is the Execution Stone, where King Rama III ordered the execution of Krommaluang Rak Ronnaret for planning a rebellion against him. The canal in front of the temple is a holy site as the ashes of cremated members of the royal family and the royal white elephants are scattered here.